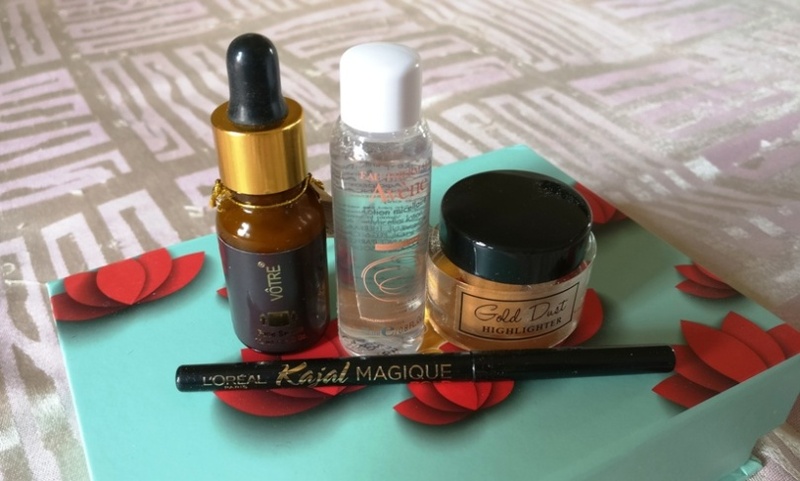 The February 2017 Edition of My Envy Box is the Indo-French edition and came with a mix of products from both countries. Sadly this month's box had four products instead of the usual five. But the good part is that three out of these four are full sized and are pretty good! I've already been using them so am quite pleased with the contents of this month's box. So as you can see, there's a full sized bottle of Votre Face Serum, Gulnare Gold Dust Highlighter and L'Oreal Kajal Magique Bold and the only sample product is the Avene Micellar Lotion. Starting off with my favorite product from the box which is surprisingly amazing - Votre Face Serum. 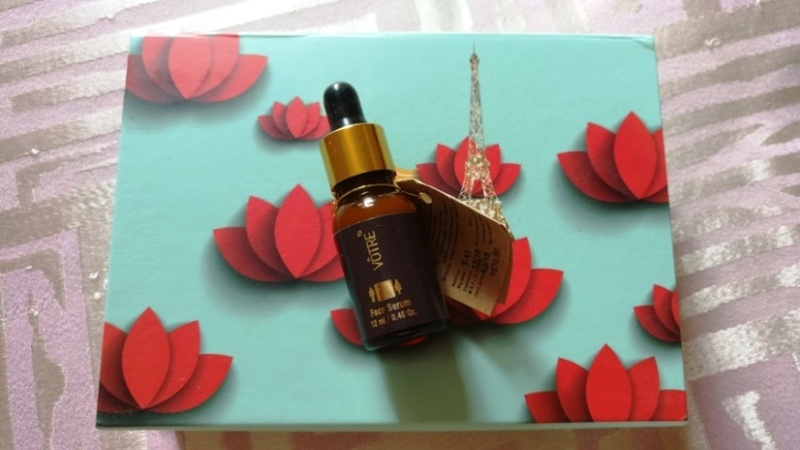 I've tried other products from Votre before but they seemed quite meh to me and I'm not a big fan of their packaging as it doesn't look premium so I wasn't excited to see this serum in the box. I casually applied it instead of a moisturizer after a shower and went for my hot yoga class where one of the staff complimented me on how great my skin looks. Later in the evening at work, I casually touched my face and felt that my skin was really soft and told a colleague about it. When I reached home I told my mom about it and her reply was that she was just going to tell me that my skin looks really glowing and radiant. So there we go, three testimonials on day one of application so I can totally vouch for this product! Its amazing! The only con is that it's pricey at Rs 1670 for 12ml but I guess it will go a long way so it's worth it. 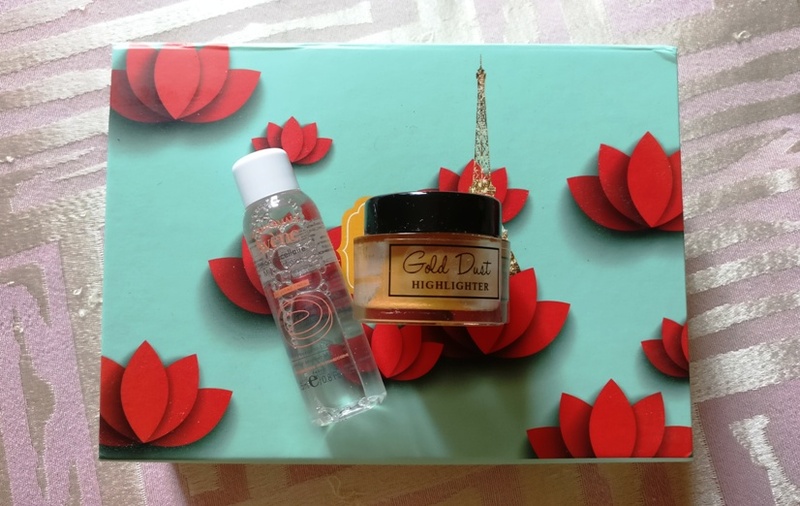 The third full sized product is the Gulnare Gold Dust Highlighter (Rs 950). This is a natural and organic product with a creamy base. It's a peachy gold color and can be used as a cheek stain, eyeshadow or lipstick. The only sample product is the Avene Micellar Water which is a 3-in-1 no rinse cleanser, toner and makeup remover. It is based on micelle principle that releases cleansing agents upon contact with skin leaving it soft and moisturized. Avene is a French brand and I've used Avene their sunscreen before so I know this one will not disappoint. Overall, I was quite pleased with this month's box. 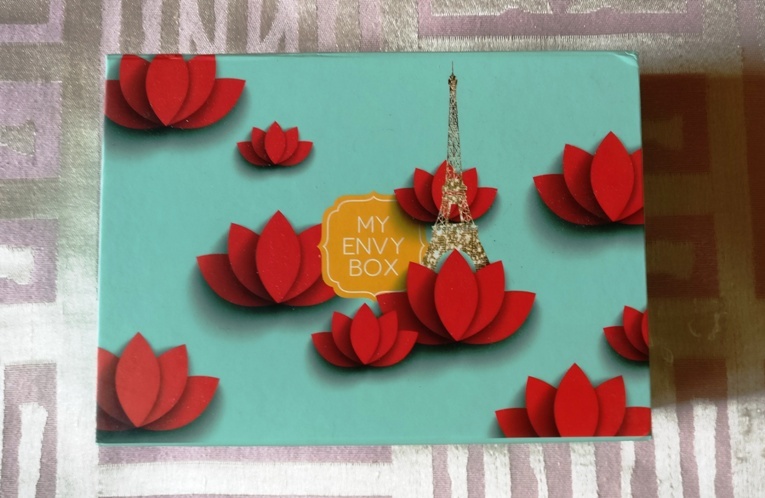 You can subscribe to My Envy Box here at Rs 850 per month. Hi, June! I hope you are fine! I loved this Envy Box. and 4 products, but with a good size, instead of 5 are OK. I liked the serum, cause you said it's good and I like serums. 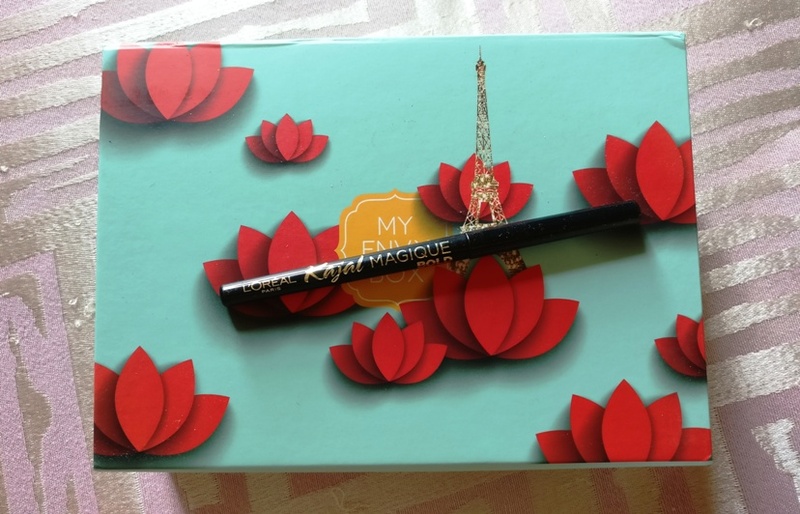 I also liked to know about the L'Oreal pencil, cause a kajal that doesn't smudge is very good! Over all, I would like to have this box! Hope you have a nice day! The face serum sounds amazing! Sounds like some good products, full sizes always a good thing.